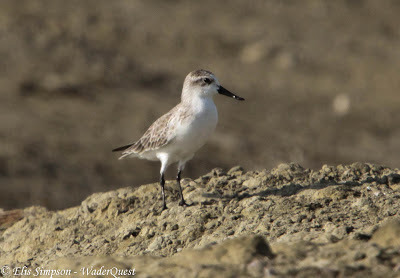 Wader Quest: Ray of hope in China. Ray of hope in China. This summary of a paper written by Chinese scientists shows that the growing wealth of China, despite having many negative effects on birds and the environment, is also having a positive effect. It has long been understood that conservation and care for the environment is closely correlated to population wealth, as China gets richer, more people have time and money to go birding and that in turn will hopefully lead to a greater understanding of their needs and pressure being put on authorities to consider the environment in their decision making. a1 Ministry of Education Key Laboratory for Biodiversity Science and Ecological Engineering, Fudan University, Shanghai, 200433, China, & Center for Watershed Ecology, Institute of Life Science, Nanchang University, Nanchang, 330031, China. a2 Department of Geography, East China Normal University, Shanghai, 200062, China. a3 Ministry of Education Key Laboratory for Biodiversity Science and Ecological Engineering, Fudan University, Shanghai, 200433, China. a4 Shanghai Programme Office, World Wide Fund for Nature, Shanghai, 200083, China. Birdwatching is a popular activity in western countries where it has helped to integrate research into birds, bird conservation, and socio-economic development. We analysed the development of birdwatching in mainland China and its roles in bird study and conservation using a standard questionnaire and interviews. Birdwatching in mainland China began only recently (in the 1990s). The increased numbers of foreign birdwatchers visiting China promoted birdwatching there. As of 2010, a total of 36 local birdwatching societies had been established, and the number of birdwatchers exceeds 20,000. The development of birdwatching has been positively correlated with local economic conditions–that is, the number of birdwatchers is much greater in economically developed areas than in relatively undeveloped areas. Birdwatchers have not only contributed to a greater understanding of the population status of birds in China but also promoted bird conservation at the local level. Although China’s conservation policies are currently formulated and implemented in a top-down manner via government regulation, with little contribution from local individuals, the rapid development of birdwatching reflects an improved understanding of conservation by local communities and growing participation in conservation initiatives by local people and organisations. We predict that with the continued development of China’s economy, birdwatching will further develop and play an increasing role in China’s conservation policies and practices. This is important as China is a country with a high rate of endemism and many globally-threatened species. Dare we hope that this will lead to greater protection for our beloved Spoon-billed Sandpipers on their journey along China's coast?